Christmas is over for another year but that doesn’t mean the eating is stopping anytime soon. With family still booked in to come over during the festive period, as well as New Years fast approaching I decided this would be a good idea to post something which can be baked and fill in any gap left post-Christmas. Whether it’s another celebration cake you need for a family dessert or a cake for an afternoon tea this chocolate treat is perfect to please everyone and anyone. This is seriously the best chocolate fudge cake recipe I have ever found. It’s so gooey and soft in the middle, with a rich, chocolatey ganache which encases the cake- the dream combination! The best thing about a cake like this is that it can be used on any occasion and decorated in any way, chocolate cake is not just for Christmas. I have done a festive version using Malteaser reindeers and Christmas cake decorations from Sainsbury’s. However, I have done this cake before when I have had friends round and simply added chocolate buttons onto the top, you can also try chocolate shavings, chocolate stars, edible glitter, raspberries the list is endless! Add a little bit of cream too and it can be easily transformed into a dessert. I know this cake is the ultimate bake for all chocolate lovers as it has been tried and tested before. The last time I baked this I ended up passing on the recipe to multiple people- always a good sign! It’s not too difficult to make either, it just takes a little bit of time and a whole lot of chocolate. It needs to be stored in the fridge then taken out about an hour before serving as the ganache tends to harden, making it difficult to cut the cake (the worst kind of nightmare). The recipe has been adapted from BBC Good Food. Break the chocolate into small chunks and add into the pan alongside the butter. Put the pan on a heat until everything is melted and combined together. Mix the self-raising flour, plain flour, bicarbonate soda, muscovado sugar and golden caster sugar together in a seperate bowl. Pour the melted chocolate mixture into the bowl of other ingredients and mix in well with a spoon. It will be runny so don’t panic if it isn’t thick! Pour the mix into a tin and bake for 1 hour 25-30 mins. As always poke a skewer through the cake to check its cooked, if it comes out clean it is all done. Leave to cool in the tin then take it out onto a wire rack to cool completely. To make the ganache break the chocolate up into small bits into a large bowl. Heat up the double cream and sugar in a pan, make sure you keep stirring it so it doesn’t get clumpy. When it’s on the verge of boiling take it off the heat. Pour the cream over the chocolate and leave for a couple minutes. This should allow the chocolate to melt down but give it a stir to ensure it has all melted and combined with the cream. 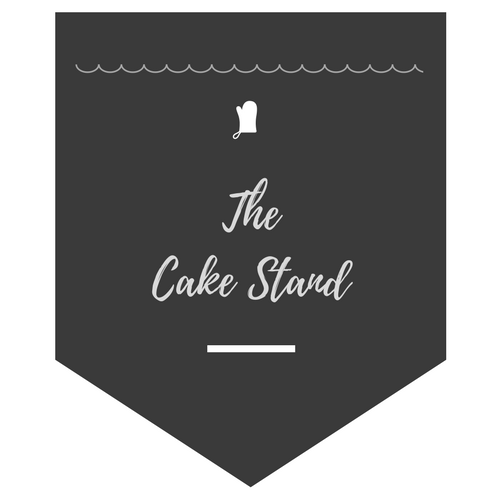 Put a plate underneath your wire rack where your cake is standing. Pour some of the ganache over the cake and using a palette knife smooth it over the cake, letting and excess ganache pour over onto the plate underneath. Repeat, so eventually, all the ganache has been poured onto the cake and finished off smoothly. Leave the ganache to cool and solidify slightly before adding your decorations. Store in the fridge but ensure you take it out an hour before serving.